STLPR’s Lindsay Toler (at left) and local musician Paige Alyssa discussed the broad spectrum of musical styles demonstrated among the local groups who entered this year’s competition. More than 50 St. Louis-area bands responded to the call for submissions to the 2018 Tiny Desk Contest from NPR Music over the past few weeks. And this year, Paige Alyssa made sure her group was one of them. Along with entering her original song into the national competition, Alyssa vied for the opportunity to perform at this year’s Tiny Desk Happy Hour, a free concert organized by St. Louis Public Radio. That gets underway at 6 p.m. Thursday at ANEW and will feature two more local favorites, River Kittens and Superfun Yeah Yeah Rocketship, in addition to Alyssa. 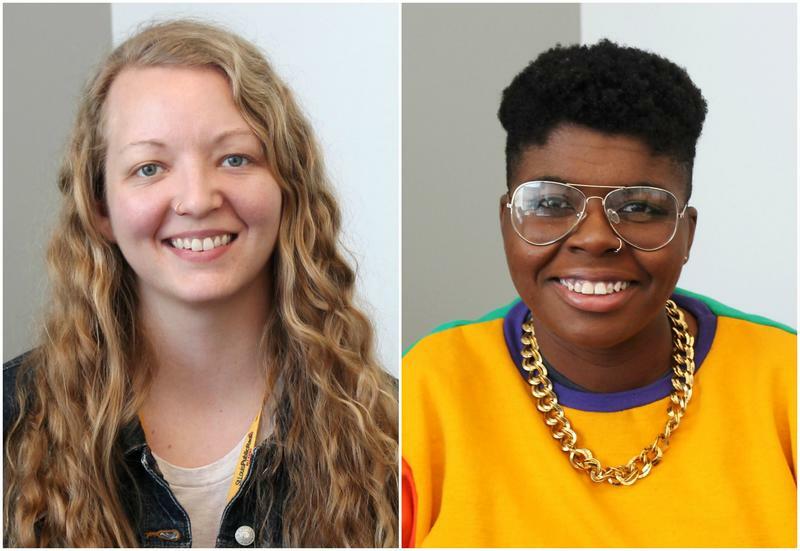 “What we did is we took all of the St. Louis-area acts and put them online on a ballot, and our listeners voted on their favorites,” explained STLPR engagement producer Lindsay Toler, who joined the conversation.